Milford Track (Custom trip) - Outside the Square. Tours for the "almost independent" Gay Traveller and their friends. Informal get together of guys who get together for a week to walk the great walks each year. This year its the Greatest walk of them all Milford ! 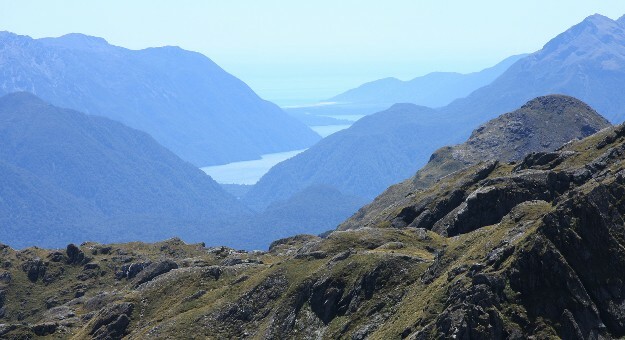 Best time to walk the Milford track is from Mid Nov to Mid April. 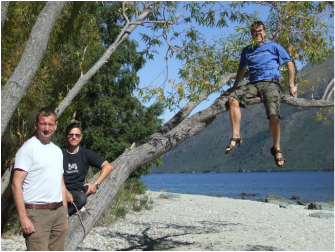 This is not really a OTS trip, like the "World trips" just a way of getting a group of outdoor individuals together, I use the contacts I have for the custom trips, and put together a weeks holiday focused on the walk. Costs are kept to a min, and depend on final number and and the size of vehicle we hire, and the accommodation I can book us into. For the hikes I do a meal planner and then we do shop on day one where you can buy things for the walk and your breakfasts and lunches whilst hiking. Accommodation is all share in the huts of course and I book shared rooms at the other locations, where usually its just our group in a shared room. Often cited as amongst the greatest wilderness hikes in the world, the Milford never ceases to amaze and delight, whatever the weather conditions. It’s New Zealand’s most famous ‘’Great Walk’’ and it books up months ahead and within days of the DOC hut passes being released. We do the freedom walking so its carrying our own packs, food and sleeping bags, the other way to do the Milford in more comfort is the fully catered Guided walk, where you only carry day packs but this is $2095 for a 5 day 4 night trip for multi-share in high season. Our adventure will be around $1500 for a 6 night 7 day week exploring, but yes you will have to carry your own backpack, sleeping bag and food and its escorted not guided. We will meet on the Sunday 7th February and have the first night in Queenstown, get to know each other over dinner, and plan what we need to buy food wise for the hike. Next day we will do a morning shop, and then head to Te Anu downs for the 1pm boat trip to the start of the walk. The walk is 3 nights 4 days ending with a boat transfer to Milford Sound where we stay for a night (there is time the next morning for those that want to, to do a cruise out on the sound, or some local walks). On the last day we drive in the morning drive back to Queenstown with a hike and stops on the way, for the final night have dinner and a few beers before its time to say goodbye. Re Booking your flights, I can pick you up and drop you off at the airport for arrivals on 7th and departures on 13th, if your flying in and out any other day there is a $6 airport bus that can drop you in town, great if you want to extend for a few days in Queenstown. Register your interest in this custom trip if you have a min of 6 people interested (Ever few years I run a schedule trip for Solo travellers to join. I will email you and confirm how the spaces are looking. I will require a $500 USD deposit cover the cost of booking the huts. All accommodation on this trip is multi-share for our group in nice backpackers style lodges and multi share with others in the Doc huts. 3 nights in the Doc huts on the track and the boat transfers at the end, and beginning, of the walk. 1 night accommodation in Milford sound, chance to either do a morning walk in Milford or take a morning cruise on Milford sound. 3 shared dinners on the walk and one group dinner on the first night in Queenstown. We will share the cost of petrol splitting it between us on the last day. Your transport to and from Queenstown. Please register your interest in joining us on this years Milford hike.